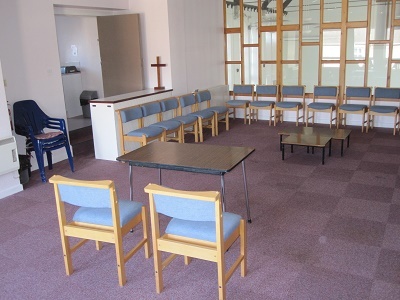 There are a number of rooms at Trinity which are available for hire. These are suitable for societies, business meetings etc. 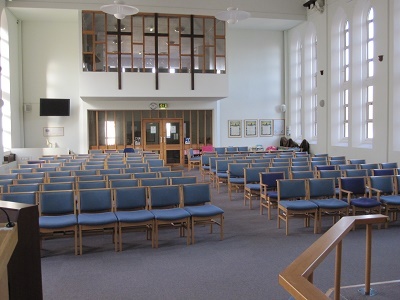 The Church Hall. 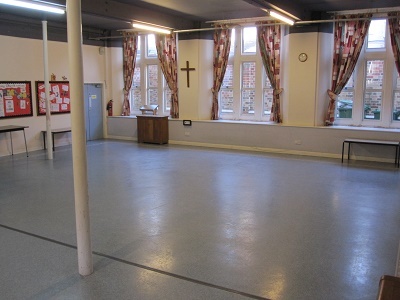 A fairly large space, with a hatch to the kitchen. 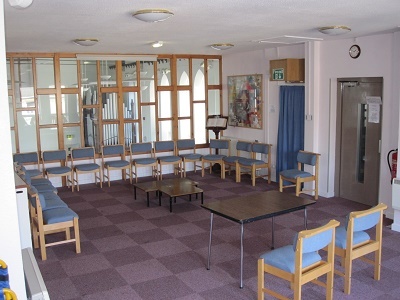 The Coffee Lounge - a middle-sized Meeting Room on the second floor (lift available). 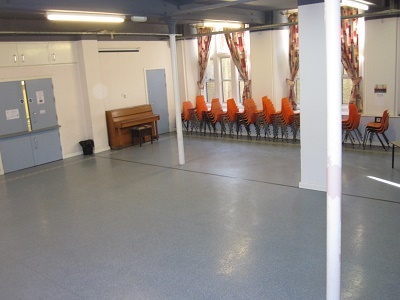 A medium-size space, with adjacent (small) kitchen area, suitable for preparing hot drinks. 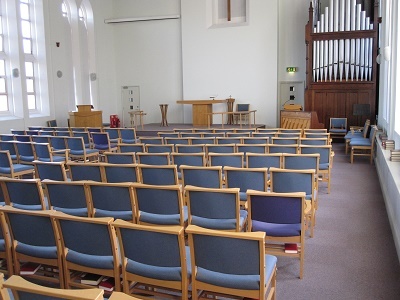 The Church/Sanctuary, which seats about 130 people, and is available for suitable events. This chart shows the current bookings diary, as at 11 April 2019. Some events will show details if you <click> or <mouseover> them.